Rehearsals are well underway for Westville Theatre Club’s family pantomime, The Wizard of Odd, written by Claire Demmer. Not only has the playwright brought the story to life through an abundance of humour and quirkiness, but director, Dee Fleuriot has also incorporated a South African theme making the story more relatable for local audiences. Shawn O’Neill, the Musical Director and band leader, has managed to tie this all together through music and wonderful instrumentals. The talented cast is diverse and vibrant and has been working diligently on building sets and props. Londiwe Mthethwa plays the role of the young and naive Dorothy. “Londiwe truly shines in this role and gives the audience even more reason to adore the character of Dorothy,” says Dee. 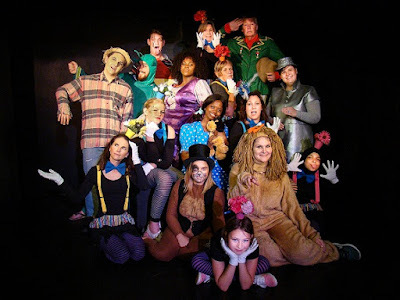 Dorothy is joined on stage by characters from the original movie - Tin (Wo)man, Scarecrow, Toto, Lion, The Wicked Witches, The Munchkins and the Great Odd himself. Tickets R100 (R60 special for scholars and pensioners on December 8, 9 and 12). Doors open at 1900 and the show will start at 19:30. This is a supper theatre production - bring your own food and drinks.